This project started its life as a simple storyboard for a 2D piece based on photographs, delivered to us by the agency. 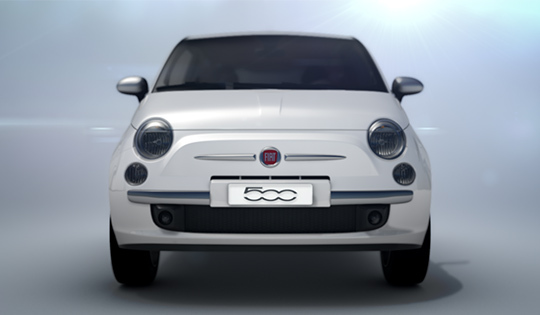 The main brief was to show off different customization options for Fiat 500 using series of cuts. Right from the beginning we knew that the key to making the car look attractive in the commercial was in adding that one extra dimension, so we decided to upgrade the ad to a full 3D. While the team was working on the car models, Quba rigged up yet another of his patented After Effects expression rigs (basically his own version of Trapcode Echospace) in order to easily create and animate the flower designs originally designed by the agency. The rest was a pretty standard editing, compositing and beautifying process, resulting in the ad you can see above.